This Interview with U L--- describes land confiscations, livelihood challenges and displacements occurring in Htantabin Township, Toungoo District, between 2012 and 2016. Since 2012, villagers in Htantabin Township have reported livelihood challenges as a result of land confiscations and property damage. Companies such as Kaung Myanmar Aung [KMAC] and Shwe Swan Inn have seized lands belonging to local villagers to develop teak plantations, hydropower dams, and gold mines. The local community has used different strategies to regain their lands, including purposely seeking to negotiate and communicate with companies and government authorities. However, because of the lack of legal justice and knowledge, villagers have not been successful in protecting their lands. They have faced displacement, threats and legal cases by private companies and the Tatmadaw. The following Interview was conducted by a community member trained by KHRG to monitor local human rights conditions. It was conducted in Toungoo District on October 21st 2016 and is presented below translated exactly as it was received, save for minor edits for clarity and security. This interview was received along with other information from Toungoo District, including four other interviews, one situation update, 142 photographs and five video clips. I have five children. They all have their own families. Currently, what do you do to support your livelihood? I am working on a hill plantation to support my livelihood. I also work on a banana plantation and a mung bean plantation. How much do you earn each year by working on the plantations? How do I say this? I just get 200 bunches of banana every month. What is the price of 200 bunches of banana? I can sell one banana bunch for 100 Kyat. How do you sell mung bean? How much do you sell it for? I do not know for how much people sell it for in the city but here it [one big tin of mung bean] costs 30,000 kyats. Currently, what work do you prioritize? We work on many different plantations, including a sugar cane plantation. We work on sugar cane plantation, banana plantation and mung bean plantation. I live in Gs--- village, beside the main road. I used to live in Htantabin Township 30 years ago. I moved here in 1999. What did you work on when you moved to stay here? I just worked on hill plantation. What challenges did you face in your village from 1999 to now? In the past, we did not face any challenges, but we faced many challenges when Kaung Myanmar Aung Company arrived. I lost 500 yards of banana plantation because the Kaung Myanmar Aung Company confiscated it. Some of the mango plantations were not confiscated. How many acres of mango plantation do you have? It is not like we grow it in one area. We have 24 mango trees in one place, and we grow mango trees in different places. Do you have a land title? When did the Kaung Myanmar Aung Company start to confiscate your lands? They started to confiscate villagers’ lands in 2012 but our lands were confiscated in 2014. When the Kaung Myanmar Aung company confiscated your lands, did they consult with you? How did they confiscate your lands? They did not consult with us. They forcibly confiscated our lands. Another man: they registered 30 years’ land grants from the Burma/Myanmar government. They confiscated our lands, but they had to pay taxes to the Burma/Myanmar government. However, our villagers did not understand anything about their land confiscation process. Did they help with resettlement after they confiscated the lands? No. They did not help. They confiscated the lands from 2012 to 2014. After 2014, what changed about the way they confiscate your lands? They use more violence when they confiscate our lands because they have money. How do they perpetrate violence? They threaten local villagers with knives, wooden sticks and slingshot. Did they beat the villagers? Not yet. They did not beat the villagers yet, but they always carry wooden sticks, knife and slingshots in their bags. Who carried those kinds of weapons? The company [Kaung Myanmar Aung] workers. If your lands were confiscated, how would you report it to get back lands? We’ve already reported it but nothing has happened. Even though we reported it, nothing has happened. We reported it to Kaung Myanmar Aung company. However, they tried to reject our report. They can do it because they have money. That is why we cannot do anything. It is hard for us. Who else did you report it to? We reported it to Settlements and Land Records Department and Forestry Department of Burma/Myanmar government. What challenges did you face when you reported the land confiscations to the Settlements and to the Land Records Department and the Forestry Department? They told me that they cannot do anything because Kaung Myanmar Aung Company has 30 years’ land grants. They said that they can confiscate the lands. Can you ask to see the 30 years’ land grants paperwork? The Kaung Myanmar Aung Company never showed it to us. They intimidated us with the law. How did they intimidate you? They said that they will sue us if we trespass on their confiscated lands. Someone from The Settlements and Land Records Department. No. I do not know his name. Another interviewee: He is not from the Settlements and Land Records Department. He is from Kaung Myanmar Aung Company. Can you tell me about your livelihood since after your lands have been confiscated? How do you earn your living now? We just have to work on the lands that we have left. That is just only the boundary of the plantation. They do not let us go and look after our cows there. Another interviewee: No, it is not. Let’s just say that there is no land to work on because they posted a sign on that land. The sign says ‘No cows and buffaloes allowed’. We cannot do anything. Local villagers do not have any places to live in. Villagers just live in their teak plantation. They forced villagers to leave this area so they had to move there. Third interviewee: They told me to leave by the end of the month. I told them that I will not leave because I would not have any place to live. U L--- continues: We moved to stay here, beside the road, because there are some students who live here. What can we do if they cause problems to students? Forestry Department came and told us that we cannot live in the teak plantation. I told them to give us our lands back if they do not allow us to live here. If they cannot give us our lands back I will have to live here, I will have to sue the Forestry Department. They told us that they will also sue us. I used to live on my farm for 30 years and the students also grew up in this land. I worried that they [KMAC] will cause issues with the students. That is why I left my land silently [without arguing with KMAC]. Finally, we asked for an agreement letter from the middle school’s headmaster [that promises that KMAC will not hurt students]. Then the situation got better. Another man: They made them leave and they also interviewed him. Who are they? How many of your children are married? One of my children is married. How many of your children are studying? One of my children is studying. What about the rest of your children? What do they do? The rest of my children are just workers. They do not have their own farms. Therefore, they have to work as manual labourers. I work on a mung bean plantation and a banana plantation. They confiscated my plantation. There were 11.5 acres. Did they confiscate all acres? How did they confiscate your plantations? They just confiscated my lands by force. I have cows and buffalos but I cannot look after them anymore because they posted the sign here. It says ‘No cows and buffalos allowed and no one is allowed to gather firewood here’. Last year Aung Zaw from Kaung Myanmar Aung Company told me to leave my lands. What is Aung Zaw responsible for? He is in charge of the plantation. Did he come to tell you to leave at your house? Yes, he came to tell me that at my house. What did he tell you at that time? Can you tell me as much as you can remember? He told me, “You have to leave this place and take your banana trees”. I did not say anything at that time but my relatives told him “Why do I have to leave? We cannot leave. If you want us to leave, you have to provide a place for us to stay”. Then Aung Zaw said “Why do I have to provide a place for you to stay? You are not my relatives. I cannot provide a place for you to stay”. Did he say exactly that? When you were working on your banana plantation and mung bean plantation, did you have a land title or a land tax voucher? No. I did not have anything. So when did you start to work on this land? I have been working on this land for a long time. I think - more than 20 years. How many acres were there on your land for you to work on? There were 11.5 acres in total. I do not remember exactly. We measured the land when we were working on it. Where did you live before you came to work here? I lived in this village. This is Gs--- village. I am a villager in this village. Do you have a house in the Gs--- village? No. I do not have a house in Gs--- village, but my plantation is in this village. I do not stay on my plantation. I just live in the jungle. I have a group of cows. Therefore, I cannot live on my plantation with a group of cows because it is too narrow for them to stay there. Currently, I live on my hill farm but I cannot move to live in another place even though the seasons change, depending on the rainy season or the hot season. What challenges did you face after Aung Zaw told you to leave your land? I did not leave. The Kaung Myanmar Aung Company asked me to leave but I did not leave because I have to rely on this land to support my livelihood. My relatives told them “You believe in Buddhism and we believe in Buddhism. If we die, we will all go to the place under the ground. So we cannot leave”. How will you plan to get your lands back? If our elder leader tries to do it, maybe we can get our lands back. But we cannot plan to get our lands back on our own. Why can’t you plan to get your lands back? We cannot plan it because we do not know where we should start. We have a lack of knowledge. Currently, who are helping you to get your lands back? U Myint Soe. He is working for a farmer’s organization [a Myanmar labour agent]. He said, “Do not worry. We will try to get your lands back”. We do not know what his position is but mostly he is trying to get our lands back. He tries to work for villagers. Any other people who help the villagers? Another villager interrupted [U Gw---]: I do. I also work for the villagers. The Shwe Swan In Company destroyed farmlands with 250 tons of stone and a stone crushing machine. 250 tons of stone and a stone crushing machine? How did they destroy the land? U Gw---: When the hydropower project was implemented, the Shwe Swan In Company came to produce stone in Kwat Sin. We prohibited it, but they just said that they would just produce the first layer of stone and after that, they will give us our lands back. However, after the hydropower project was finished, they continued to produce stone. Who is in charge of producing stone? U Gw---: Aung Kyaw Khaine is in charge of producing stone. Does he work for a company? What is his position? U Gw---: He works for a company. U Gw---: Shwe Swan Inn Company. He works for U Maung Maung. He is an assistant of Maung Maung and Shwe Swan In Company. U Gw---: I have some challenges. They are mining in Kyaukkyi, close to this village. We try to tell them not to do it. We try to stop it because it will affect villagers in many different ways. They stop everybody on the road to prevent them from travelling in that area. We told them not to stop villagers from travelling because there are people who are sick and need to go to the hospital or clinic. There are also students who have to go to school. We also told them that mining affected many villagers’ farmlands, but they said that the farmlands were affected by paddy fire. We told them that there are no paddy fires in the entire country, but they stuck to their reasoning. However, after a meeting was held in Hton Bo village, the mining project was stopped. After the hydropower dam was finished, did they explain to you why they continued the stone mining? U Gw---: They did not. They said they requested for a permit to do mining from Myanmar government. They got a permission to confiscate 10 acres of land in order to do mining. However, they mined more than 10 acres of land. Now they live in an area between the villages. There are 160 acres of land in that area. It is farmland. They continued mine on the 160 acres of that land. They planned to force villagers from their farmland. Which village are these lands located in? U Gw---: The lands are located in Gu---village, Na Ga Mauk village tract. Did they consult with the villagers before they continued to conduct stone mining? U Gw---: No. They did not. In the past, villagers worked on that land. What did the villagers do on that land? U Gw---: They worked on a mung bean plantation. Can villagers work on the mung bean plantation now? U Gw---: No. The villagers could not work on the mung bean plantation anymore since they came to conduct stone mining. Now villagers just grow mung beans on some lands that are not affected by stone mining. Are villagers fine with the stone miners now that the villagers grow mung beans on other lands? U Gw---: No. Villagers are not fine with them because they continue to request Burma/Myanmar government to conduct stone mining on more lands. They said that they will compensate villagers. Therefore, the villagers have to leave. The villagers cannot leave. Do villagers have land titles or land grants? U Gw---: Only one villager has a land title. U Gw---: His name is U Gv---. How many acres of farmland does he own? U Gw---: There are 250 tons of stone and a crushing machine on his farmland. So his farmland was destroyed by being covered with soil. Did they provide any compensation for him? U Gw---: No. They did not provide any compensation. Moreover, they threatened the villagers. What is your name? Can you also tell me your address? U Gw---: My name is U Gw---. I work on a farm and I also have my own cultivated land. The place where I live is close to the place that they conduct stone mining. Did they tell you to leave your place? They did not tell me to leave yet because maybe the villagers are very active in trying to stop them. Now they do not often tell us to leave. However, in the past, they would often come and tell villagers to vacate their lands. How did they come to inform the villagers in the past? They told villagers that they had to get off their lands and that they could not build any houses here because they have already requested for a permit from Burma/Myanmar government to conduct stone mining in the 10 acres of land. They also said that they paid tax to Burma/Myanmar government. They also continued to conduct stone mining in another area. They said they would give compensation to villagers, therefore, the villagers had to leave. I do not think they should continue mining stone anymore. Why should they not continue mining stone? They think they should continue to mine, but the villagers are trying to be proactive to protect their lands. So I think they should not continue to mine stone anymore. Villagers attended a meeting in the Htoe Boh village. I can show you pictures of the Htoe Boh meeting. Villagers were invited to attend the Htoe Boh meeting. In the meeting, villagers reported the number of acres of their lands that were destroyed. In fact, Shwe Swan In Company only took the accountability for destruction due to building P’lat Wah bridge. They did not solve any other problems regarding any other lands. Did they not solve any problem related to stone mining? No, they did not solve any problems. They should solve such problems. How many companies attended the meeting? Only Shwe Swan In Company attended the meeting. How many companies were invited to attend the meeting? Three companies were invited to attend the meeting: Shwe Swan In Company, Arr Nan Nan Company and Kaung Myanmar Aung Company. What did villagers report in the meeting? When the country is in the peace process, how do you feel about the farmland confiscations? We feel lost. It feels like our hearts were stabbed by a spear. When our villagers felt lost, I really tried to help them. Some of the villagers came to sleep here. I want my villagers to be able to work on their farmlands but almost everyone in the village lost their farmlands. Some villagers moved to find jobs in other places because they no longer have any farmland to work on. Some villagers went to Moe Kote [Mogok] city and Lar Shoe [Lashio] town to look for a job. Only a few villagers are left in the village. We were landowners, but we have become workers. Did your children go to look for jobs in other places? U Gt---: They do not have any farmland to work on. Therefore, they left the villager and gone to other places to look for jobs. How much money do your children earn each month? They earn 120,000 Kyat per month. Do they have a contact with their parent? Yes. They have a contact with their parents. Some children have to work for Kaung Myanmar Aung Company even though they do not want. They have no choice. How much money do they earn each month working for Kaung Myanmar Aung Company? They earn 120,000 kyats per month. What do they do for Kaung Myanmar Aung Company? They follow elder people in order to confiscate villagers’ lands. 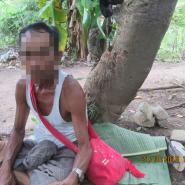 When Kaung Myanmar Aung Company confiscated the land, the villagers’ children were involved. Right? Yes. They were involved. Now the children from our village work for Shwe Min S [Company]i. What do they work on in Shwe Min Si? Shwe Min Si [Company] is also related to the Ko Khin Maung Aye, but as the Shwe Min Si company has a problem with land confiscation. The children were sent to Shwe Min Si. Where is Shwe Min Si? It is a green Ngwe Daw building. On the other day, we followed our children to check up on them, as we do not feel as they are safe. We do not want our children to work there. A group of workers, led by Ko Thein Tun, is in charge of growing teak plantation on villagers’ lands. His groups cut villagers’ eggplants down off their lands. Ko Thein Tun is in charge of the teak plantation. He initially came to tell me that he does not want to do any harm to the villagers because they are from his village. Therefore, he just grew teak without cutting off any eggplants. However, he was scolded for it. His senior staff from his company scolded him because he did not cut the trees down. They also cut the banana trees down from the plantations that the villagers had planted. They are very rude. Did you go to talk to them when they came to cut the trees down? U Gw---: They did not come to cut my trees yet, but they will. U L---: There were 500 banana trees on my land, but they cut all of them down. These banana trees are not planted by me. These were planted by other villagers in the past. I have to make money for religious and social purposes by working on a banana plantation. Our children get school fees from these banana plantations. They [Kaung Myanmar Aung Company workers] said what if they cut the trees down. Therefore, we reported it to the village administrator, Poe Htaung. We asked Poe Htaung to solve this problem. We were not satisfied with banana trees being cut down, so we asked the village administrators to call the responsible company for us to speak to them. Then, we asked the company to compensate us for the 500 banana trees that were cut. After that, Poe Htaung called village tract leader in order to fix our problem, as a follow-up the village tract leader called the company to come and count how many banana trees had been cut. The company also burned down a mango plantation. The company’s representatives said the company did not do anything. How did they not? The banana plantations and mango plantations are in the same land area. We asked the [Kaung Myanmar Aung Company workers] to notify us if they try burning the mango plantation down, so we can try to protect it. However, they secretly came to burn the plantation at noon. I told them not to touch my banana plantation before they clear the forest. Was I wrong? Or are they wrong? In fact, they did cut my banana trees when they came to clear the forest. That is why I asked Poe Htaung to solve this problem. He told me that they will compensate me but I would have to wait for seven days. Then one month passed, and then another three. After that, I told Poe Htaung this it is the time to solve this problem. If they come in my land again, I will just kick them out. If any problem occurs, I will take responsibility for it. The youngest son [of one of the villagers] asked not to call this uncle [Poe Htaung] if he goes to solve the problem next time [get compensation] because it would make it more complicated. They [company] just secretly gave 36,000 kyat to the youngest son as a compensation for 500 banana trees [as the son secretly negotiated with the company]. Think about it carefully. Did they just give 36,000 kyats for 500 banana trees? Yes. That was it, but I only asked for compensation for the banana trees. I did not ask for compensation for land destruction. Did he have to sign anything when he took the compensation? No. I think he [the youngest son] did not sign anything. Who compensated you [your son]? Kaung Myanmar Aung Company compensated, but those banana trees cannot be grown again. What about other people [other interviewees]? Do you want to tell us about anything else? U Gw---: We want our lands back. We do not want to sell our lands if we get them back. We just want to keep our lands for our next generations. U L---: I had four plots of lands for my four children but those lands were confiscated. Only a small piece of land was not. Therefore, we just work on that piece of land. I am not happy. The Company sometimes came to take a look at what we were doing on our piece of land. However, I decided to grow plantation on this small plot of land. If problems occur, I will face them. Saya U Myint Soe came to help us. Now, I feel like I have more energy. Right? I met you too. If we have some people who want to help or stand with us, we are happy. U Gt---: We did not dare to grow trees. We also did not dare to burn the bushes. We are afraid to go to jail. It is hard if we move forward or move back. We will not have food to eat if we cannot work on this land. One bag of rice every 10 days is not enough for my family. U L---: The company bribed the Settlements and Land Record Department and the Forestry Department to oppress the local villagers. That is all that I have to say. It is all clear. U Gw---: The company planned to do everything to oppress the villagers. By the time we started to dig the roots of our plants, the company came to destroy all the plants and they confiscated the lands. When did you grow these plants? U L---: In 2014, the company said “Do not say anything. If you want to say something, call our elder leaders to come to and fix your problem.” Their elder leaders did dare not to come here. If they come here they will have trouble with the villagers. At the moment, they are not actively trying to confiscate our lands. After the consultation meeting was held, did any villager come back to work on their lands freely and peacefully? U L---The company did not continue to confiscate our lands. However, we did not work on the confiscated lands. If we touch their plants in their confiscated lands, we worry that they will burn our plantation. Now villagers live in fear. 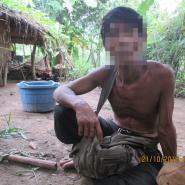 Whoever comes, police, Tatmadaw, Land Department or companies, villagers are always afraid of them. 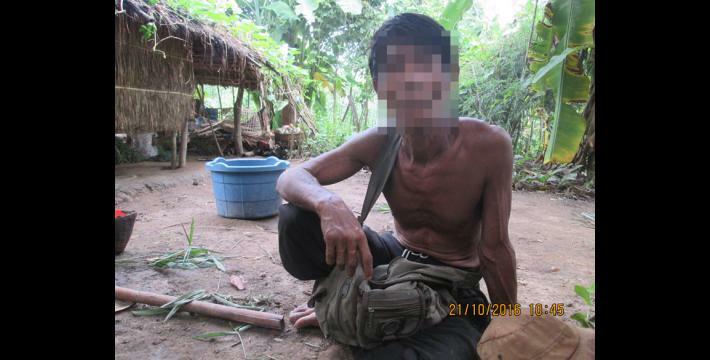 The Tatmadaw came to threaten villagers; they asked, “Why are you growing trees? This land is an area designated for target practice. You cannot grow anything here, leave”. Then they burned our plantation in front of the villagers. The police are the same as the Tatmadaw. Tatmadaw said they already confiscated 578 acres of land for target practising area. Did Tatmadaw confiscate 578 acres of land for target practising area a long time ago? U L---: Not a long time ago. They confiscated it recently. U Gw---: In the past, they did not set up any signposts on the land. The Tatmadaw just came here and said that they confiscated our lands in the past. They came from the Bin Yit Naung town camp. Later they came to set up a signpost that said that this land belongs to them. That is why the villagers held a demonstration. After villagers held a demonstration, did they [Tatmadaw] come to meet with the villagers? 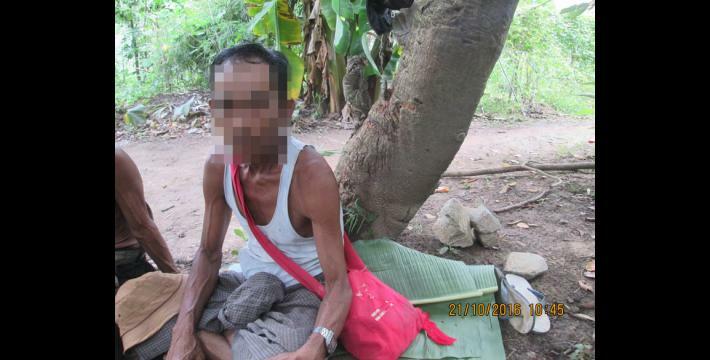 The Tatmadaw did not hold a consultation meeting with the villagers. Correct? U L--- and U Gw---: No. U Gw---: They also did not remove the signpost. I took some pictures of the signpost to show you, but my phone’s battery is dead. They did not come to ask any question either. U Gw---: They asked us “Do you know where the target practising area located, from where to where?” They told us that this target practising area spans from the signpost that Kaung Myanmar Aung Company set up to the west. All of this land is designated for target practice. If that is the case, our villages will become beggars because our villagers do not have any land to work on. What can we do? Kaung Myanmar Aung Company confiscated the land and then the Tatmadaw did. Therefore, we want your organization to help us. Do they [company] use the wooden sticks, knives and slingshots to protect their confiscated lands? U L---: No. If we go to the confiscated lands, they are told to shoot us. Who told the company staff to shoot you? U L---: Senior people from the company told them to shoot us. If villages act against the company, they will shoot at you. Correct? U L---: Yes. The senior people from the company said they will deal with the problem if something happens. We have to watch our backs. Did the senior company employees tell their staff to shoot villagers a long time ago? U L---: Yes. A long time ago. They also hired thugs. Some bad people left the company because they do not get along with the company. The company also trained them. Where did they train them? U L---: At Kaung Myanmar Aung Company. They trained them on how to fight. U L---: We know about it because my grandchild works and he saw it himself and then he told us about it. The company told him that he needs to be careful because one day the company will have a conflict with the local villagers. So they already trained your grandchild? U L---: Yes. They already trained my grandchild. He asked his father what he should do [whether he should carry the company’s orders]. His dad told him that he should just do what they ask him to do. U L---: People who used to be soldiers [former Tatmadaw soldiers]. They work for Kaung Myanmar Aung Company. They teach the Kaw Myanmar Aung Company workers to dare to kill, dare to cut as their vow [to protect the company]. This troubles the villagers. Thank you so much for sharing the information. Is there anything else you would like to add? U L---: No. That is enough. We do not have anything else to add. U L---: Yes. Thank you. Kaung Myanmar Aung Company (KMAC) or Kaung Myanmar Aung Group of Companies is a Myanmar-owned business group with investments in teak plantations in Toungoo District, and mining, agriculture, shipping, construction and real estate development within Myanmar. Their chairman is Mr Khin Maung Aye. 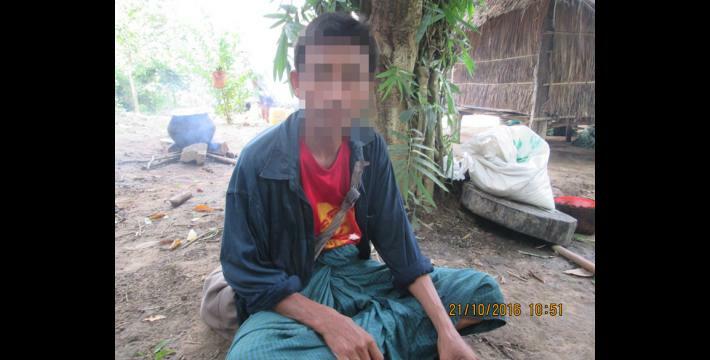 KMAC have been implicated in land confiscation cases in southeast Myanmar which have included intimidation and threats to villagers who were customary owners of the lands, and launching legal cases against villagers accused of trespassing on the confiscated land. See “Chapter 6: Development, “Foundation of Fear: 25 years of villagers’ voices from southeast Myanmar,” October 2017, KHRG. For an interview with a KMAC day labourer, see “Toungoo Interview: U A---, 2017,” November 2017, KHRG, and for a villager sued of trespassing, “Toungoo Interview: Htantabin Township, November 2015,” June 2017, KHRG. Asia World is a Burma/Myanmar company with significant investments in the shipping industry, infrastructure, and plantations in Myanmar. It is known within Burma/Myanmar as Shwe Swan In. Asia World and its additional companies owned by Myanmar national Stephen Law were added to the US Sanctions list in July 2016 due to their historic and continued links to the Burma/Myanmar military regime, see “US extends sanctions, further targets Asia World,” Myanmar Times, May 17th2016. KHRG analysed the impact of Asia World and other private company’s roles in development in Chapter 6: Development, “Foundation of Fear: 25 years of villagers’ voices from southeast Myanmar,” October 2017, KHRG. In KHRG’s operation area of Toungoo District, Asia World constructed a hydroelectric dam resulting in damage to villagers’ land and the relocation of villagers, see “Toungoo Interview: Saw H---, April 2011,” KHRG, September 2012 and continue to develop on land traditionally used by villagers, see “Toungoo Field Report: Slow transitions towards real change, January to December 2015,” January 2017, KHRG. Additionally, in Mergui-Tavoy District, Asia World confiscated villagers’ land for plantations, see “Mergui-Tavoy Situation Update: Ler Muh Lah and Ta Naw Tree Townships, January to June 2015,” KHRG, October 2015.